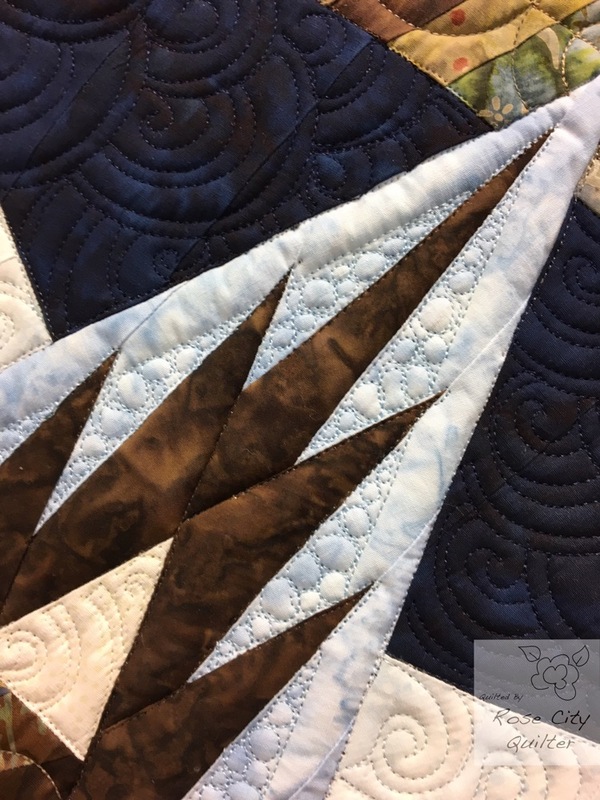 I recently quilted a Mariner’s Compass quilt for Anna Pilcher. 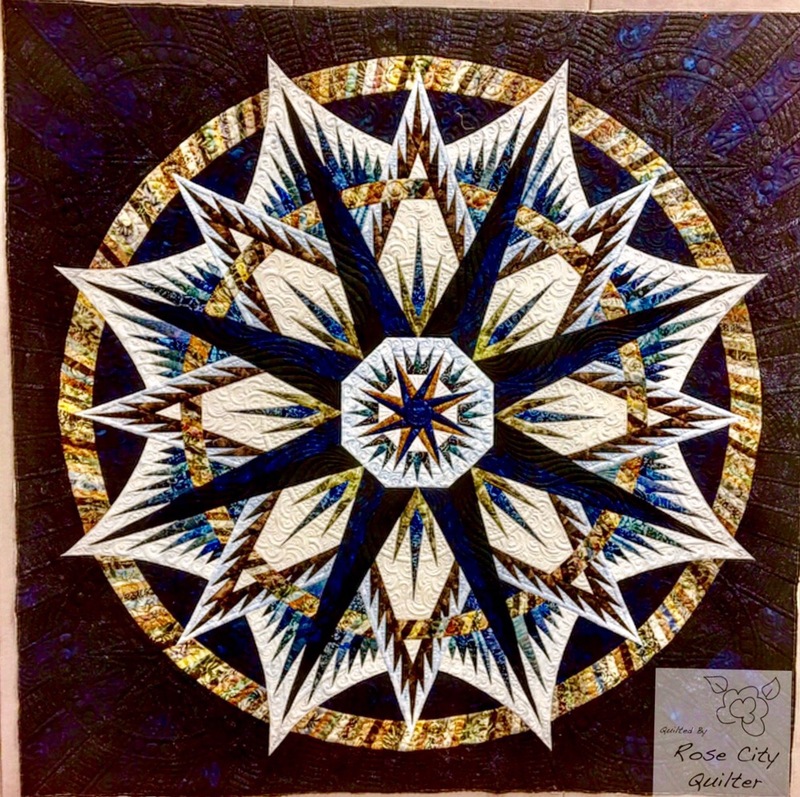 Pattern by Quiltworx (Judy Niemeyer). 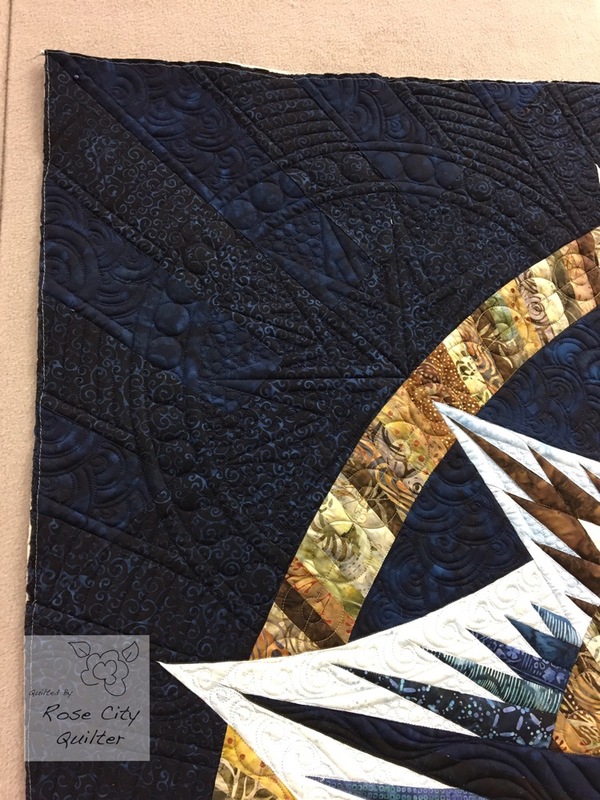 I am not the best photographer….🙈The colour of the photo is very off…. 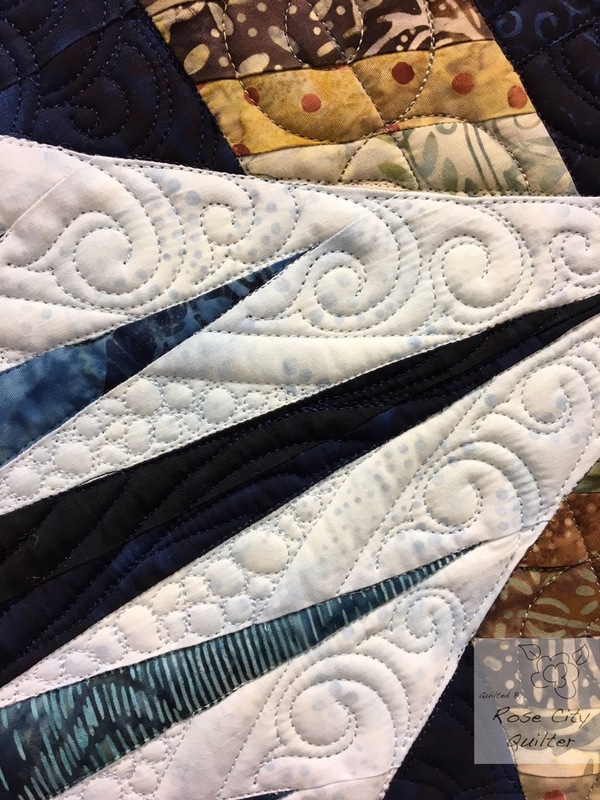 My daughter, Kathleen (Kathleen Quilts) told me when I was almost finished that Mariner’s Compass is a hard quilt to know how to quilt. 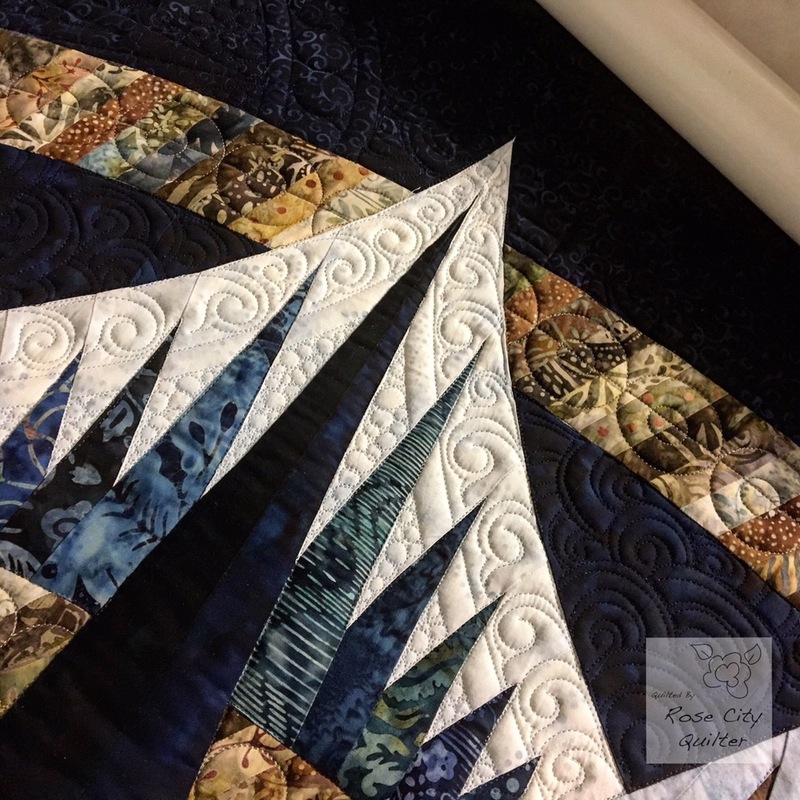 She said it in the context of liking what I had done with it. 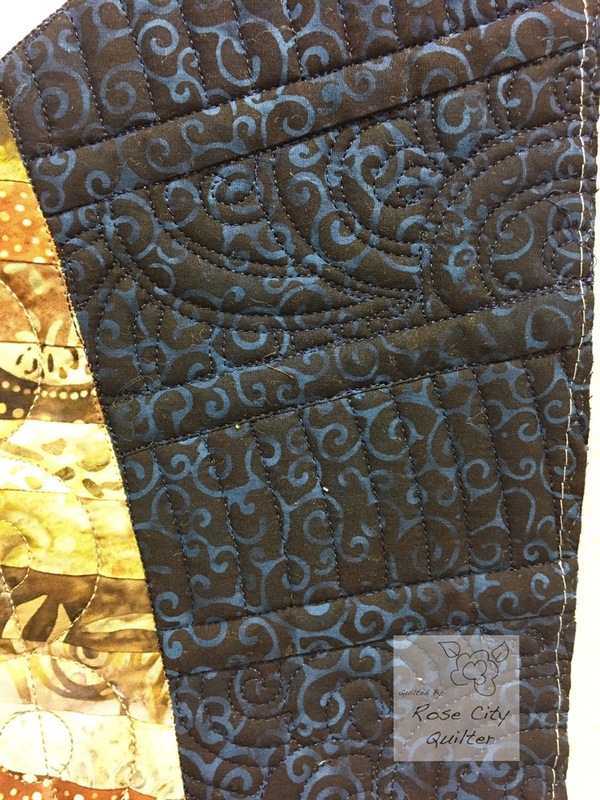 I was surprised she said that as this is the third one I have quilted and I had so many ideas! 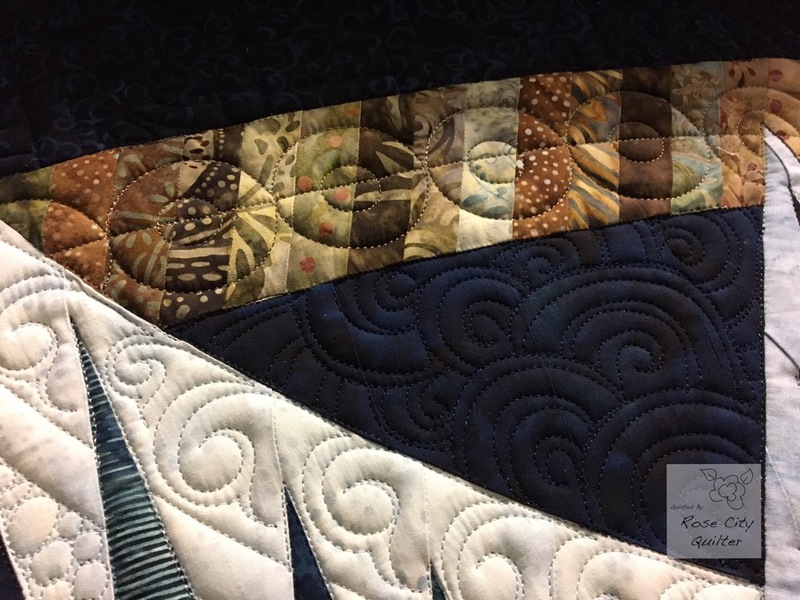 The biggest empty space on this quilt is in the corners. 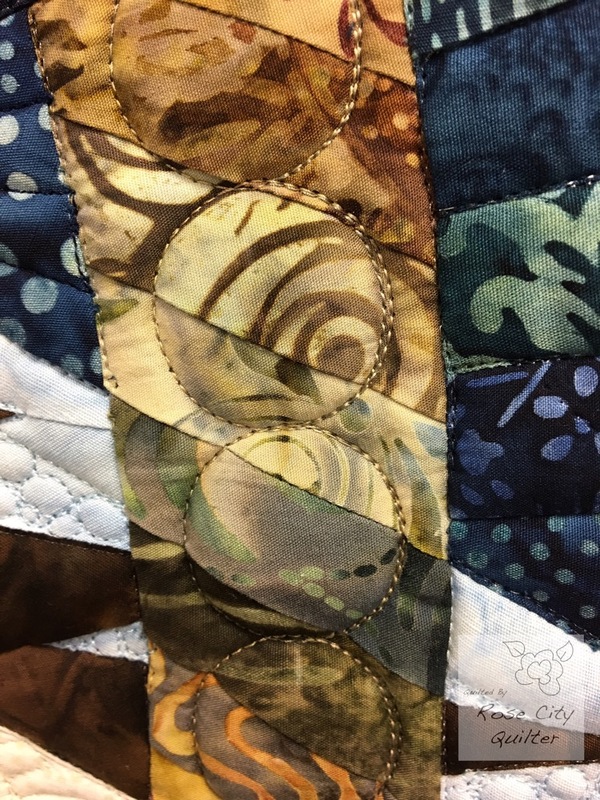 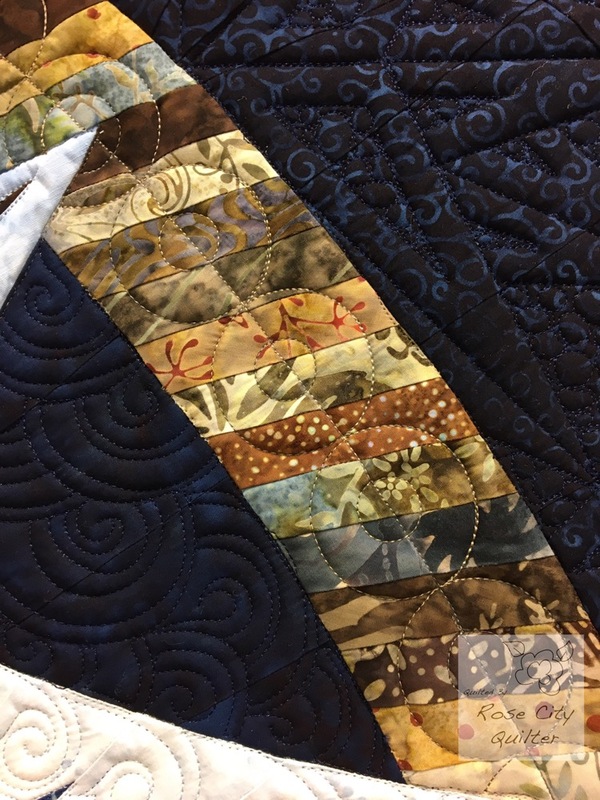 In this area, I quilted a Mariner’s Compass motif…..
After that I went with a water theme, quilting designs that remind me of water….swirls,bubbles and waves…..